Each year, through Tonic’s designated charity committee, a ‘Company Charity of the Year’ is nominated and then voted upon by the whole team, so we can support them in various ways, including by volunteering our time to related activities for instance. When deciding which charity to approach for this year’s campaign, we came across these stats… In 2012/13, it is estimated that around 6,500 people ‘slept rough’ in London. With an average nighttime temperature of just 1°C, January is a particularly cruel month for people who are homeless. With this as a backdrop, we’re really pleased to announce our charity of this year will be St Mungo’s. With a history of helping homeless people and those at risk of homelessness since 1969, St Mungo’s provides a host of services for the homeless including emergency, protection and rehabilitation services; providing shelters and hostels through to supporting recovery, skill development and employment. St Mungo’s has a number of annual calendar events including Woolly Hat Day, taking place today on Friday 31st January! 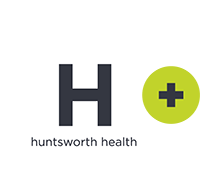 Tonic is getting involved in spreading awareness and raising money by simply wearing a woolly hat for the day or something bright orange to the office, and making a donation for the privilege of doing so – all going towards a brilliant cause. Here at Tonic, a warming ‘cuppa’ accompanied by cake is always a welcome addition to the day. As such, baking cakes to sell as an ‘elevenses’ treat on Woolly Hat Day has also been widely encouraged – any excuse – with our neighbouring offices invited to purchase the tasty treats too. Tonic’s clients are always very much welcome to participate in all charity activities we undertake: for instance, last year one of our client’s was our guest cake competition judge! Wider fundraising activities for Woolly Hat Day organised by St Mungo’s includes a Celebrity Hat Auction, running online until 2nd February on www.woollyhatday.org. Hats are up for grabs from such household names as Sir Elton John, Annie Lennox, Benedict Cumberbatch, Michael Buble, Helena Christensen, Twiggy and even the Kardashians, to name a few. A Knitted Hat Lucky Dip, for those more thrilled by the element of surprise than celeb ‘clobber’, is also taking place online where you can buy a lucky dip handmade hat at www.funiwear.com, with £4.75 being donated for each hat sold. Also in January, and kicking off the year in true de-cluttering, fresh start style, Tonic staff members were encouraged to donate any unwanted / remaining Christmas presents and pre-loved ‘bits and pieces’ for St Mungo’s. Starting with a single designated bag in a designated spot, in a just a few short weeks one bag has multiplied massively! From warm, general and interview clothing to toiletries, stationary and blankets, this unexpected ‘mountain of generosity’ has become a bit of an avalanche hazard! Through supporting a charity, not only does a worthy cause receive the time and varied skillsets of Tonic company members, but in return, charity work provides company members with transferrable new skills, experience and an unparalleled sense of fulfillment. 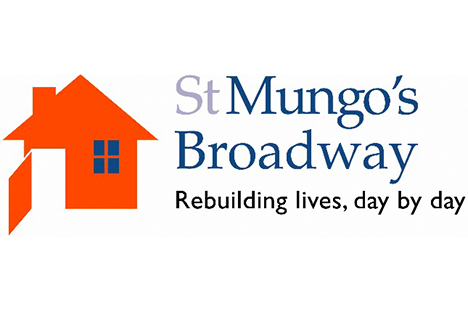 We look forward to a fun-filled and successful partnership with St Mungo’s in 2014! It’s freezing outside and while on my way home from work late one night I pass at least five homeless people and instantly the feeling of guilt creeps in… I can’t help but think; here I am on my way home to a safe, warm and cosy room while at the same time others across the capital face a night of uncertainty, fear and possibly hunger. Around 6,500 people sleep rough on the streets of London each night, and while we all may want to reach out a helping hand to each and every one of them, the reality is that one person cannot do this alone. Personally I have always been of the opinion that a little goes a long way, and have a feeling that the people living on the streets feel the same. I can’t give every person I meet on the street money or food but I can help some of them and if everyone does the same then maybe there is enough to go around. This is why I am personally so excited that Tonic’s charity of the year will be St Mungo’s and can’t wait to help make a difference, big or small. Hopefully our small contribution will go a long way – we will keep you posted.